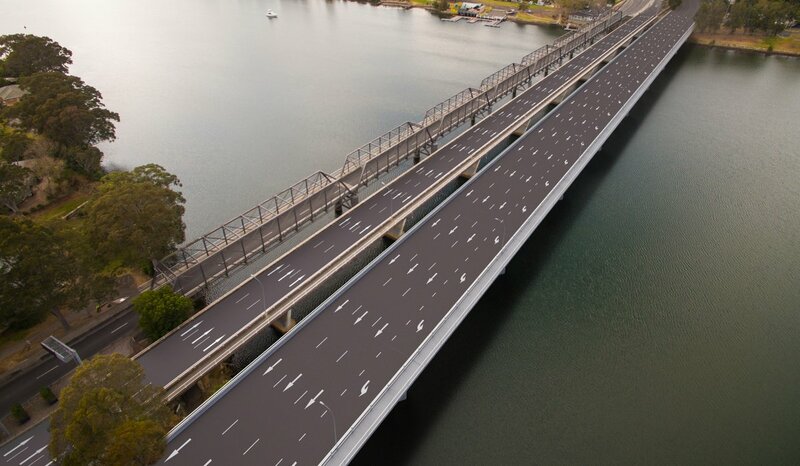 The plan and design of the proposed new Shoalhaven River crossing and associated roadworks have been released. The preferred option includes a new four-lane northbound bridge and reconfiguration of the existing concrete bridge (three lanes) to carry southbound traffic. There will be four intersection upgrades at Illaroo Road, Bolong Road and Bridge Road and a new Pleasant Way T-intersection. The historic 137-year-old iron Nowra bridge will remain, being used for pedestrians and cyclists and other events. The historic bridge will continue to carry traffic until the new bridge is complete. The NSW government has invested $1.6 million, with the federal government $10 million for planning of the new bridge which has included investigating options to determine the appropriate number of lanes required for the new bridge, intersection layouts, and the future of the old southbound bridge. The preferred option for the project will be on display for community feedback from Monday, February 19 until Friday, March 23 at various locations around the city, while there will also be a number of public drop-in sessions. Mrs Hancock said she was keen to see the Nowra community provide feedback at a series of information sessions to be held in the near future. The first two sessions will be held between 11am and 3pm Thursday and Saturday, March 1-3 at Stocklands Nowra. The third and fourth sessions will be held between 11am and 3pm Thursday and Saturday, March 8-10 at North Nowra Shops. The final session will be held between 10am and 1pm Saturday, March 17 at Nowra School of Arts Annex. Mr Ward said the new bridge would be great for local tourism and local residents. “We have seen record spends on our region’s roads since 2011 and a new bridge will help build on these major investments,” he said. “The old Nowra bridge has reached the end of its serviceable life and we cannot leave the people of Nowra and Bomaderry with one bridge. Mr Constance said the project’s small footprint and high traffic volumes in the area made the process of identifying, developing and evaluating options for the new bridge and intersection upgrades complex. “Almost 40 possible road network options were identified, assessed and shortlisted to six,” he said. The preferred option will also be on display from Monday, February 19 until Friday, March 23 at Shoalhaven City Council premises, Nowra Library and TAFE NSW Nowra. Feedback is invited until Friday, March 23. More information on the preferred option can be found in the Nowra Bridge Project Preferred Option Summary available at rms.nsw.gov.au/nowrabridge.